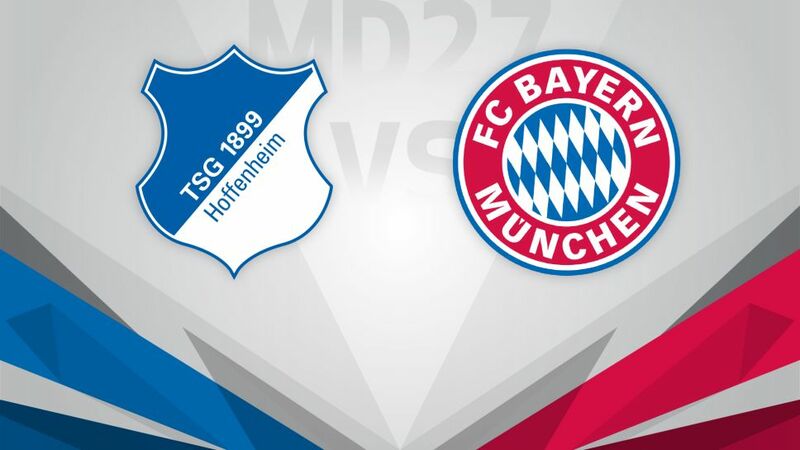 Bayern Munich may be blazing a trail at the top of the Bundesliga standings, but they meet a Hoffenheim team intent on taming the reigning champions on Tuesday (kick-off 20:00CEST/18:00GMT). Hoffenheim - unbeaten in their last six games - have a proud home record to defend with Bayern in town this week. As one of only three teams yet to taste defeat in their own backyard in the Bundesliga this season [Bayern and Borussia Dortmund being the other two] Julian Nagelsmann’s men will no doubt be feeling brave as they seek to maintain third place in what has been a fine campaign thus far for the Sinsheim-based side. Die Kraichgauer frightened the league leaders when the teams met on Matchday 10, taking the lead at the Allianz Arena before a Steven Zuber own goal tempered the visitors’ celebrations. “The atmosphere in the team is great, we’re in fine form and feeling good,” Bayern defender Jerome Boateng said after his team’s 6-0 drubbing of Augsburg at the weekend. The reigning champions – currently closing on a fifth consecutive Bundesliga title, have by far the best away record in the German top-flight this season, winning ten times in 13 road trips, an ominous warning for the hosts.